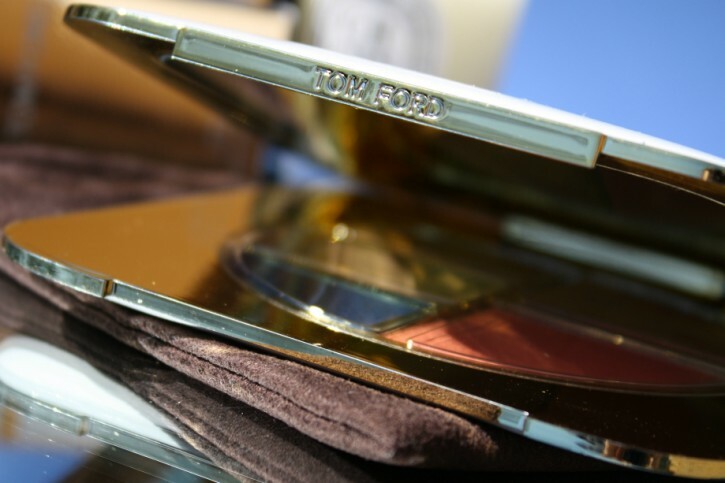 Unabashed ($95) is an all-in-one compact (the first of its kind from TOM FORD Beauty) that contains three eye shadows and two cheek colors. It is as bold as it is simple. Before we delve into the color edit, let’s take a quick peek at the packaging for this gorgeous palette. It is modeled after the bronzing powders in the permanent collection, but instead of the mahogany-so-dark-it’s-almost-black outer shell we have a return to the iconic ivory and gold that was first introduced with the inaugural Private Blend Lip Colors. This is a large square compact that measures 4.5 inches high x 4.5 inches wide. 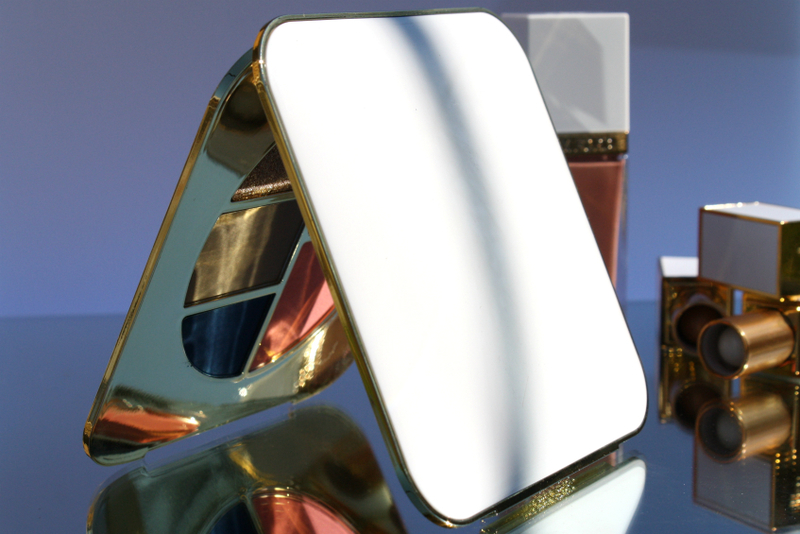 The reflective ivory finish is accented with the Tom Ford logo on the front gold band. The interior includes frosted inside mirror (3.5 inches x 3.5 inches) and a protective plastic covering that you can choose to keep or throw away. Although the packaging is the same physical size as the bronzing powder, Unabashed only has 13.5 grams of product (compared to 21 grams). Although you sacrifice quantity, you get 3 eyeshadows, a bronzer and a blush to work with here. In addition, the eye color quads contains 10 grams of product so you get more in Unabashed. In my opinion, this is where Unabashed truly shines. In a world full of neutral palettes, Unabashed ups the ante by including a stunning cobalt blue unlike any I have ever seen. I’ve seen the name “Cleopatra” dropped a number of times in reviews of this palette because of the exotic combination of cobalt blue and coral. Although I can see how it could remind someone of Elizabeth Taylor’s Cleopatra, I formed a different association. For me, the ivory packaging and vibrant cobalt are reminiscent of Greece’s Santorini. Are you looking for sultry summers and bold twists of color? Unabashed. Santorini. Take your pick. 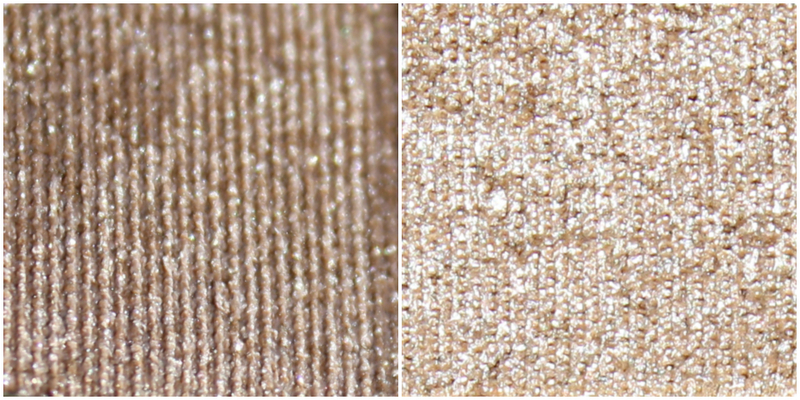 The palette includes one pale champagne glitter shade that pulls slightly peach on my NC25 skin. Although it looks “rough” in the close-up below, it is actually quite smooth and goes on beautifully. As you’ll see in the swatches below, the base is completely transparent so it works best patted onto the eyelid over existing makeup. 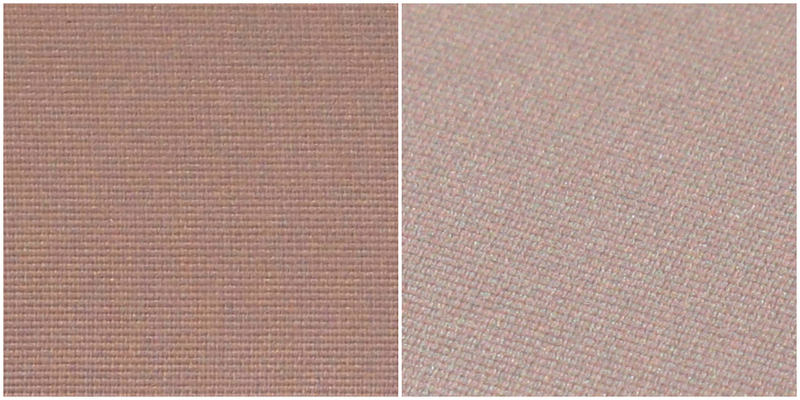 The second shade in the palette is a cool taupe with a satin matte finish. 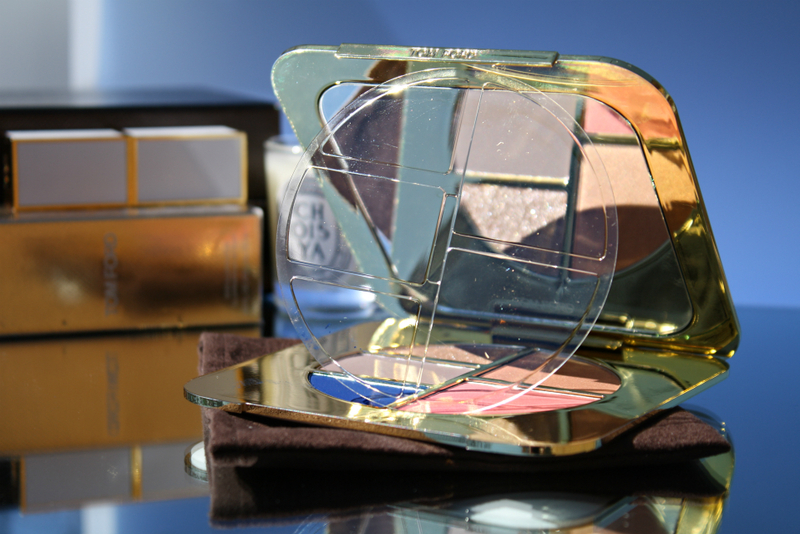 This is the most wearable of the three shadows and can be used in an endless number of looks. It’s a beautiful soft neutral color that applies like butter with no fallout. So, so smooth. Now for the star of the show. The cobalt blue in this palette is extraordinary. It is hyper-pigmented and as cobalt blue as you can get. 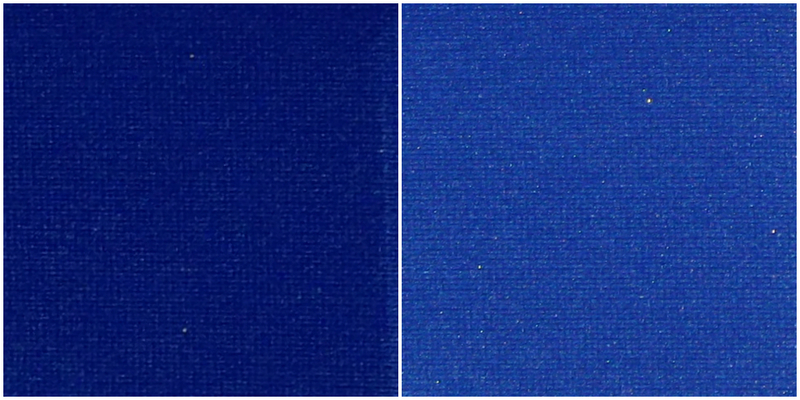 There are no other undertones or shimmer present here… all you get is a true, striking, matte cobalt blue. It is the best part of the palette, but it is also the color that will probably scare some people away. I say, don’t be scared. Even if cobalt blue eyeshadow isn’t your thing, it works beautifully as an eyeliner. I did get a small amount of fallout with this color, but nothing alarming. It’s a bit drier than the taupe shade but still blends easily. 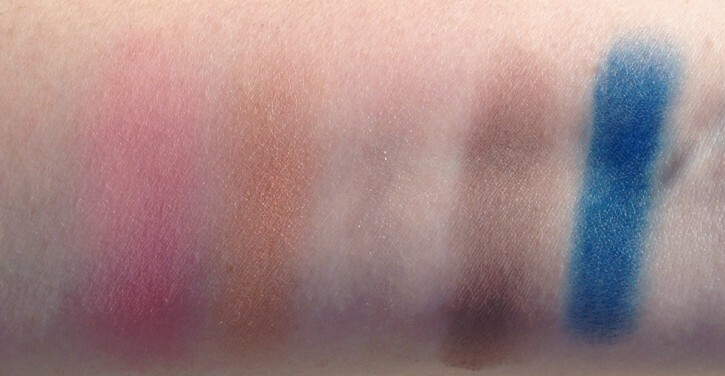 I would caution you to use a light hand the first time you apply it as it is that pigmented. Now for the cheek colors. 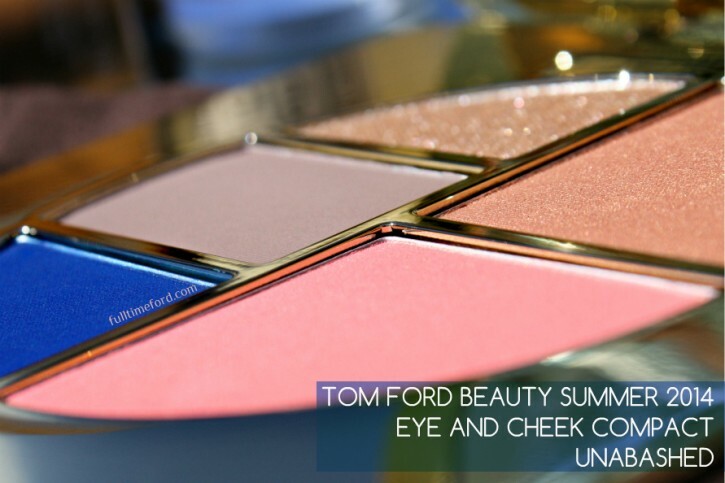 The upper shade in the palette is meant to be a bronzer. It is a lovely medium copper color with visible shimmer. The formula is lovely and so satiny it almost feels like a cream. 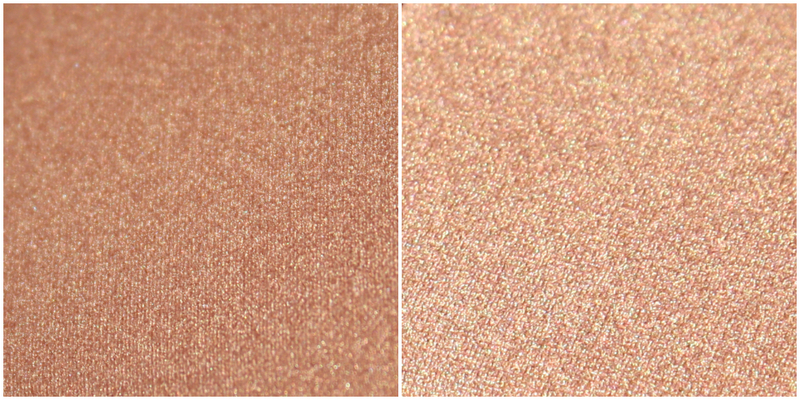 As this is a very pigmented copper, I apply it with a very light hand, usually in tandem with the blush shade. I haven’t tried it as an eyeshadow but it is so pigmented that I plan to do that as well. The blush in this compact is my second favorite product. It is a gorgeous light rose with ultrafine gold microshimmer. It is difficult to see the shimmer in the close-up below, but it is there. It is buttery soft and, just like the bronzer, applies almost like a cream. I hope that they add this to the permanent collection as a stand-alone blush. It is just lovely. 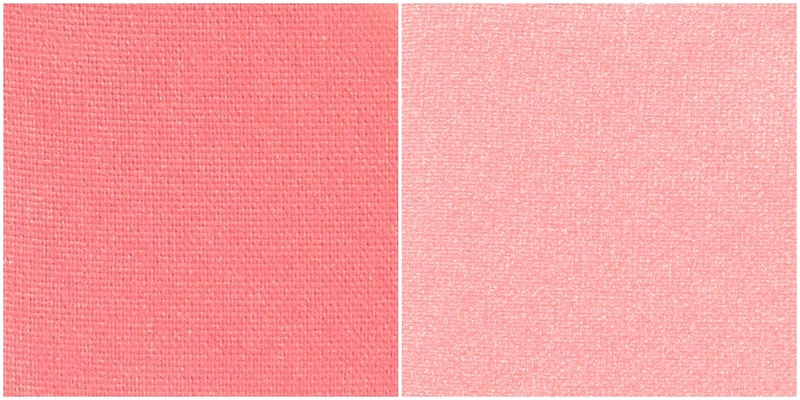 Below are a number of swatches in different lighting situations. 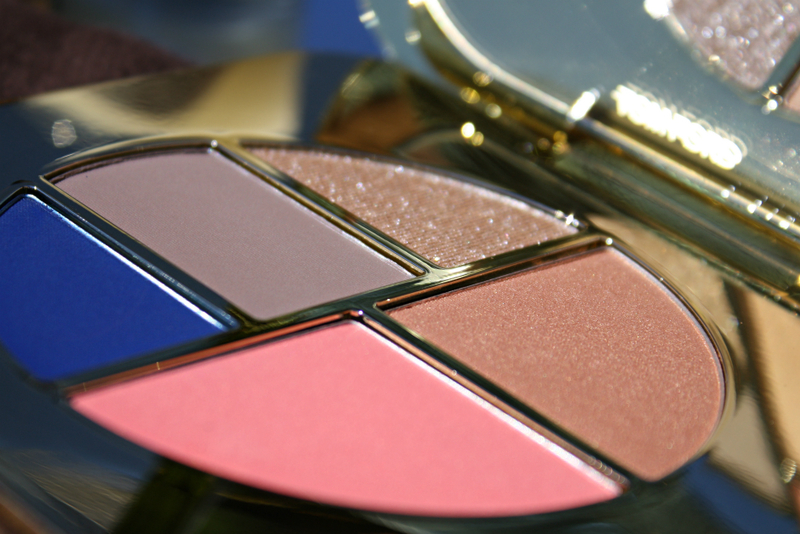 The Good: Cobalt blue eyeshadow and pink blush. 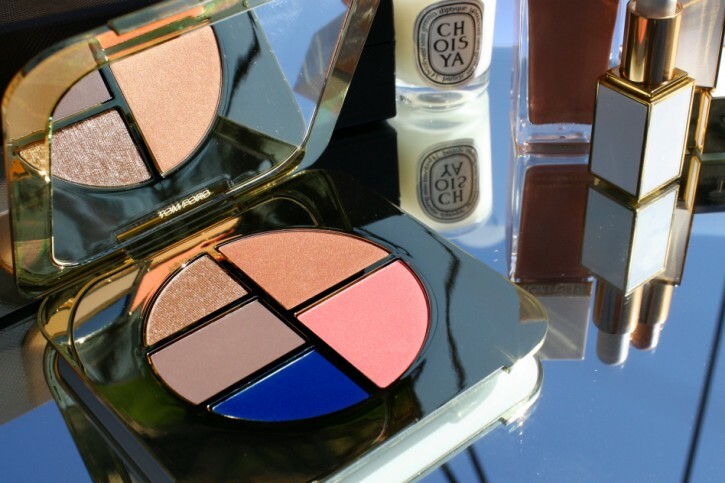 Those two products are the stars of this palette. Everything else is just a (wonderful) bonus. The Bad: Limited-edition status. This compact has sold out online and in stores repeatedly. As soon as it gets restocked, it sells out again. The only place that seems to have a steady supply is tomford.com. 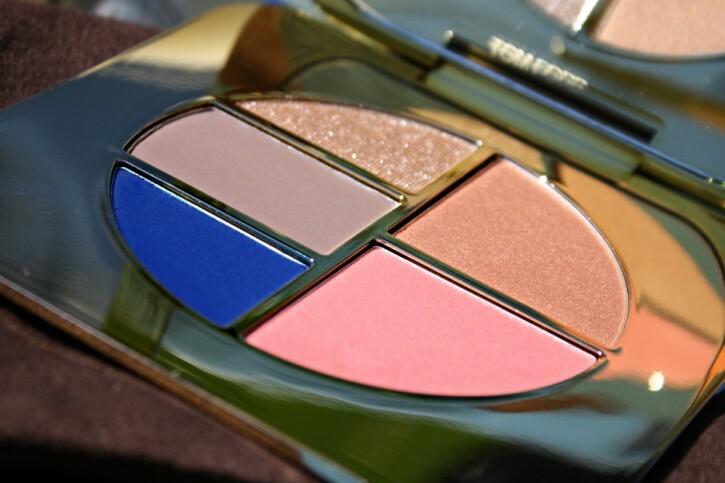 If you love this palette, you may want to purchase a back-up just in case. Such a nice palette for the summer and I love the colour payoff. This is a beautiful palette!!!! Amazing! I’m in love in this palette! I love the colors in this palette. However, did anyone have a problem with the brown color of the fabric pouch rubbing off on the white compact shell? My shell looks terrible after only a few months of owning this product- very minimal use also. I wrote to TF to let them know of the problem. It’s a shame I can’t pull out that (formerly) beautiful white compact for touch ups.